Celebrate the arrival of Spring at Peach Blossoms located on level 5 of Marina Mandarin Singapore, with a scrumptious dining menus and takeaways delights. 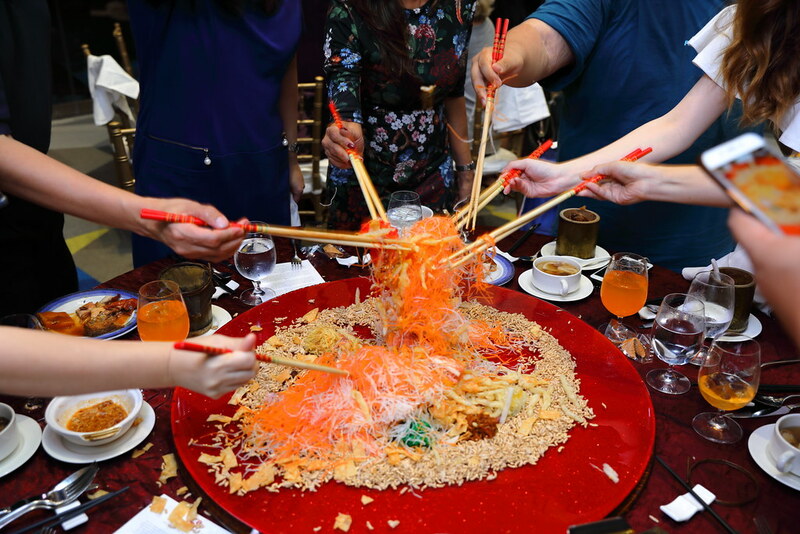 Peach Blossoms welcomes the Year of the Pig with a festive selections of a la carte dishes, set menus as well as takeaways for a hearty reunion dinner in the comfort of one's home. Abalone which is pronounced as Bau Yu in Chinese, sounds like "guaranteed wealth" is an auspicious dish for the Lunar New Year. 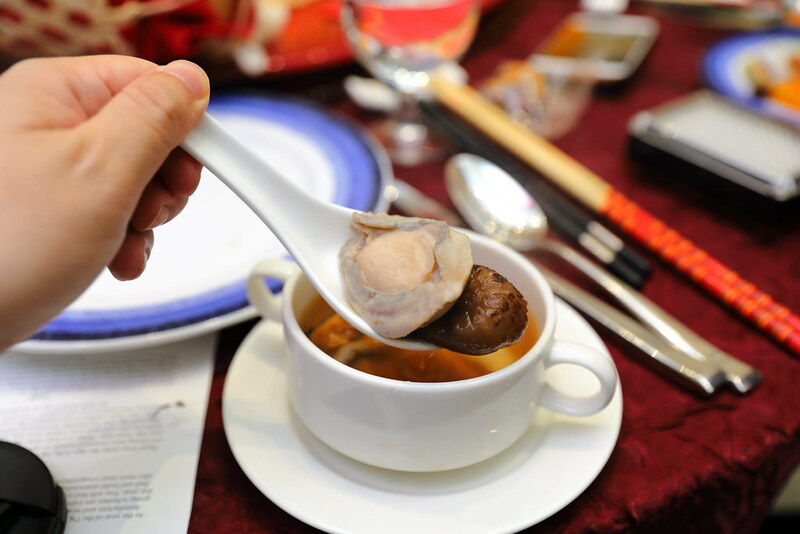 Indulge in a selections of the lush ingredient such as Abalone and Mushroom Soup, Braised Australian 2-head/3-head Whole Abalone with Flower Mushroom and Black Moss in Superior Oyster Sauce, Braised 8-head Whole Abalone with Goose Web and Black Moss, and more. 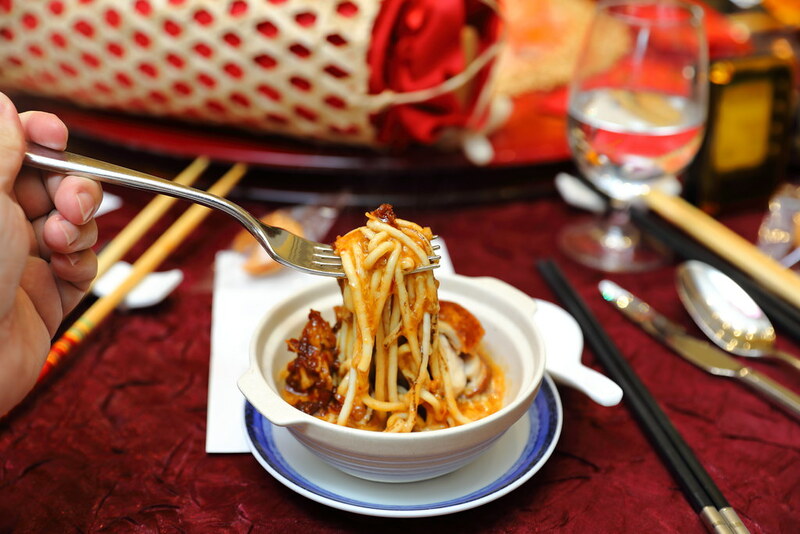 One of my favourite dishes is the Braised Fish Paste Noodles with Prawn in X.O. Chilli Sauce. The highlight is the tender texture that comes with an delectable bite. The savoury sauce lifted the enjoyment which is further perfume by the addition of the unami X.O. chilli sauce. 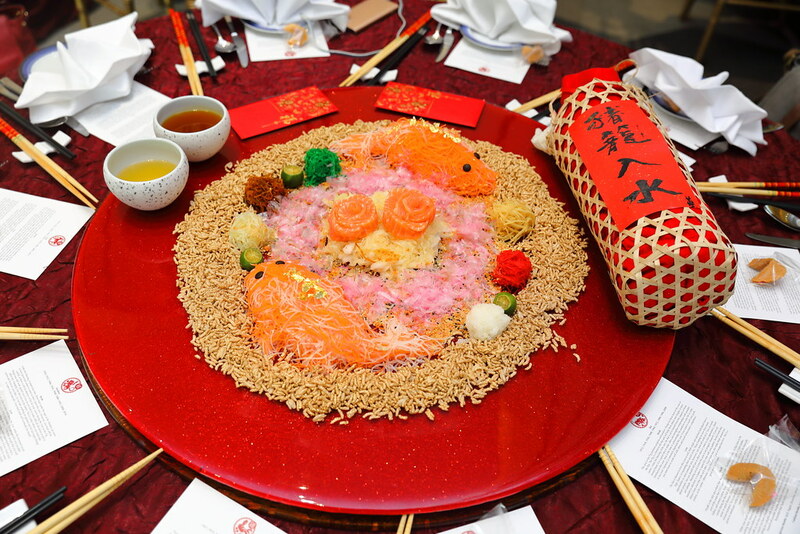 For those that is planning to dine in the comfort of their home, there are the signature Blossoming Abalone Treasure Pot, ever-popular Taro and Radish Cake with Preserved Meat Nian Gao, barbecued meats and festive cookies. 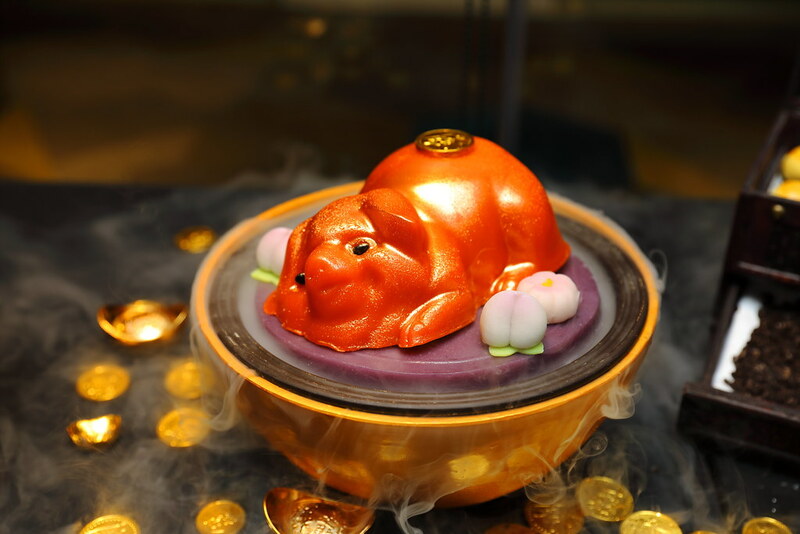 Taking centre stage this year has to be the new Golden Pig-shaped Niao Gao, perfect for Chinese New Year gift.